The law and order issues in Madang town have been escalating over the last twenty years, together with the growing economic activities in the township. I spent a few of my early years growing up at Biliau Maus Rot settlement (one of the most notorious communities) in Madang town. Law and order issues were just picking up during that time. Our mothers and sisters would walk to and from town and market without being harassed or their belongings being pickpocket or snatched. Our family would walk together to church at Jomba and come back late in the night. Most of my childhood days in Madang were spent at the nearby Wagol River and settlement and a few times at Masin Gun. We would walk freely on the road, spent the whole day at Masin Gun and return between 6-7pm to Biliau. Madang’s police were once the most feared cops in town. We grew up when Yawing and Dumock were at the best of their policing career. My uncle was also a CID officer, we would run away and hide whenever we see a police vehicle approaching us. I would say Madang’s cops were once the toughest cops in PNG. They live peacefully and harmoniously with their families at the police barracks at Kusbau and were always present at the police station to attend to complaints. Twenty-years later I went back to Madang and I was stunned by the growing number of settlements at every end of the town. Everywhere we used to play were occupied by houses and smaller tucker shops. The economy was booming in Madang. Fish canneries and mining activities have brought a lot of people into the once beautiful and peaceful town. - Petty crimes and bag snatching have taken over the once peaceful town shopping area. Drunkards and petty criminals harassed women and elderly people. Locals were helpless, even their Momase brothers couldn’t do anything to stop this madness. - Roads in the middle of the town have deteriorated and traffic has congested moving at a snail pace. People were stealing from moving vehicles, PMVs especially. - The Modilon Hospital was running short on medical drug supplies. The facilities at the hospital could not cater for the influx of people that come seeking medical attention. - Homebrew was openly produced and sold on the streets. Alcohol distribution outlets sprung up at every fringes of the town. - University and colleague students were attacked and killed while going out looking for alcohol. Public servants were robbed and vehicles were vandalized and destroyed by opportunists. - Chinese shops appeared at every suburb and communities in the town. Cheap Asian junk food, beverages and alcohol were sold legally to the people. Locals were recruited as shop assistance and security guards to these shops. The pay wasn’t good but that’s the only available paid-job in Madang or you have to work for the cannery for RD Tuna. 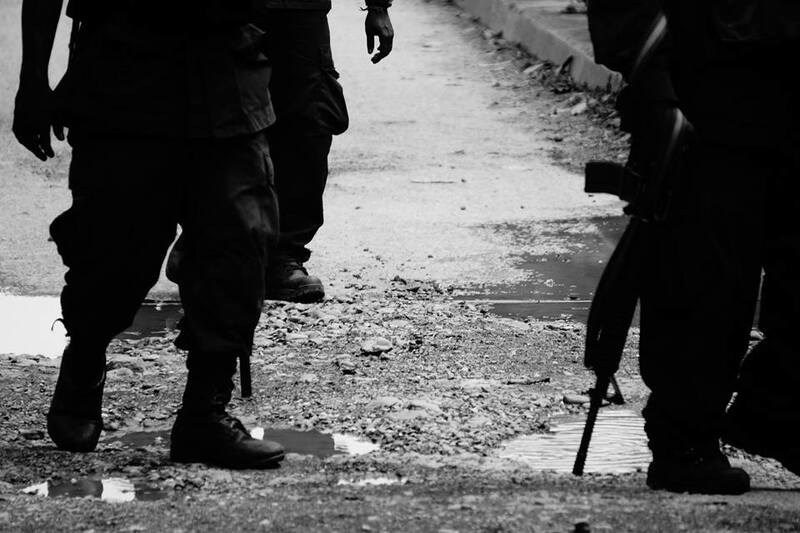 Police housing and manpower are two of the biggest challenges faced by the police force in Madang. The manpower dropped to almost 50 active policemen some ten years back. New police officers could not be accommodated as all houses have deteriorated and some demolished at the Kusbau barracks. How do we expect police officers to be everywhere attending to problems when they are outnumbered and are living and working using rundown facilities? 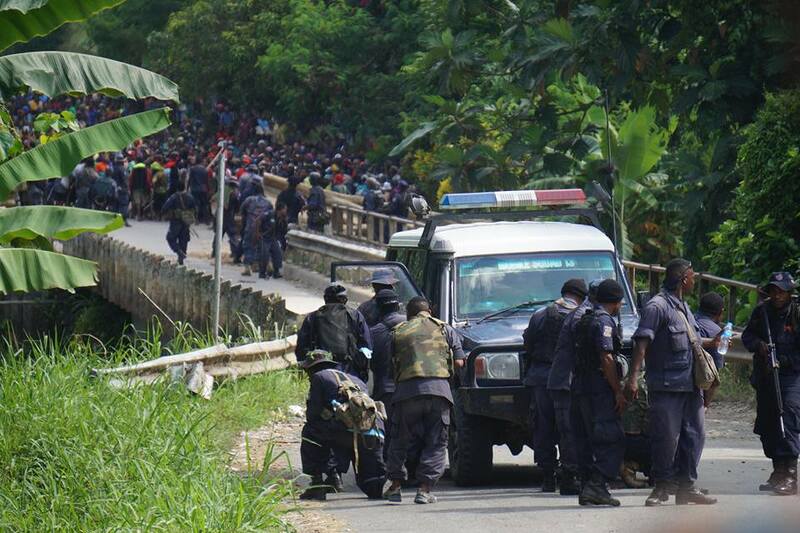 How can we expect an active police force in Madang when their living standards are very poor? There is no adequate political will and support from the National and Provincial government in addressing settlement and law and order issues in Madanag for the past twenty years. Politics and election petitions have taken up almost half of every term for Madang politicians. There is no unity at the political front and it is reflected through no cohesiveness between the communities and police in handling law and order issues. Lae Metropolitan Commander Anthony Wagambie Jnr who was then the Provincial Police Commander for Madang has proposed for the Sector Response Unit (SRU) concept to be introduced in Madang. If only the SRU idea was taken onboard and funded, Madang crime rates would be controlled like in Lae today. Today, a lot of money and resources would be wasted because of no political will and foresight on solving Madang’s law and order problems. The onus is also on town residents and the business community to work together and make Madang a beautiful and peaceful town. There is no one who is going to come around and fix Madang for us, we are going to fix it ourselves.